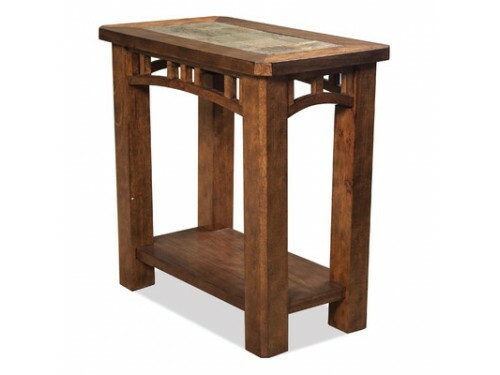 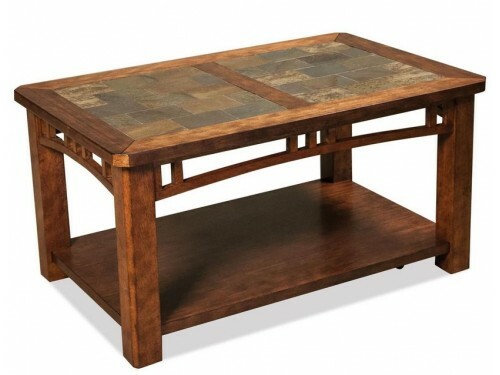 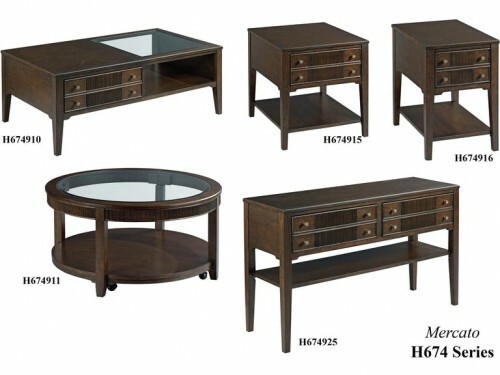 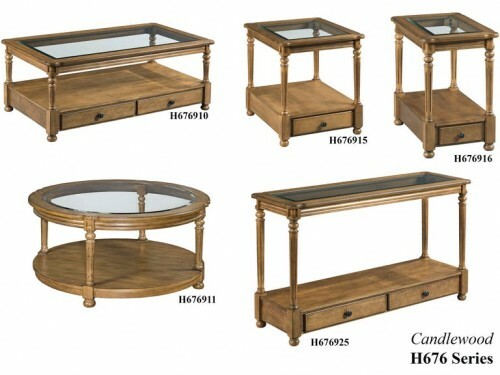 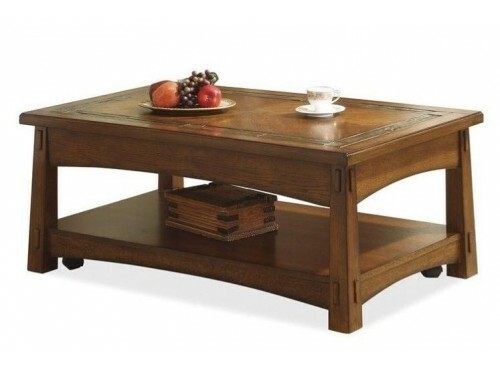 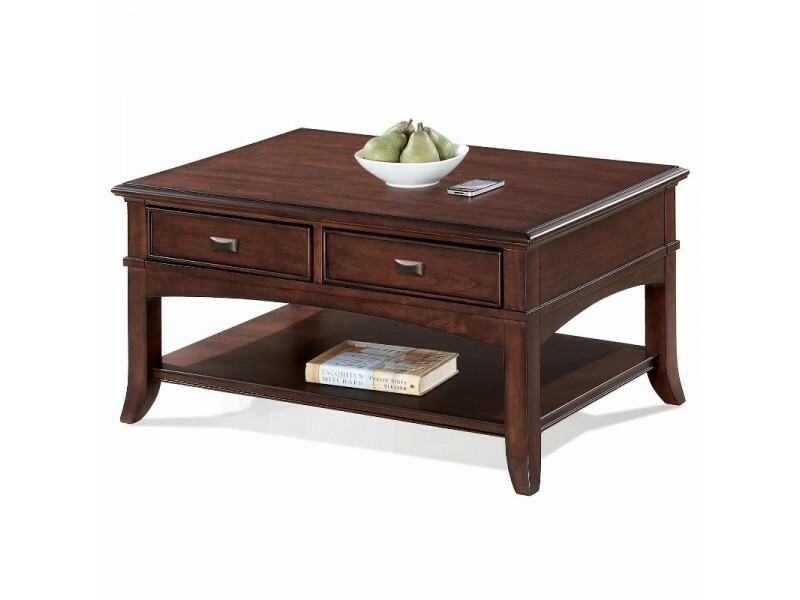 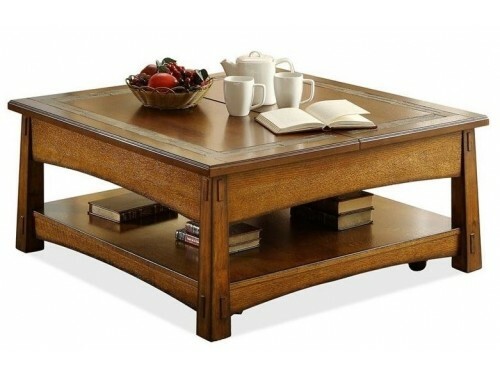 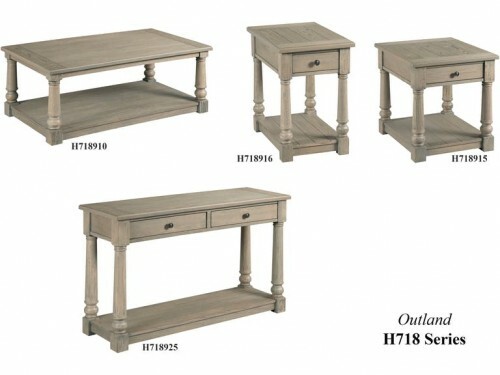 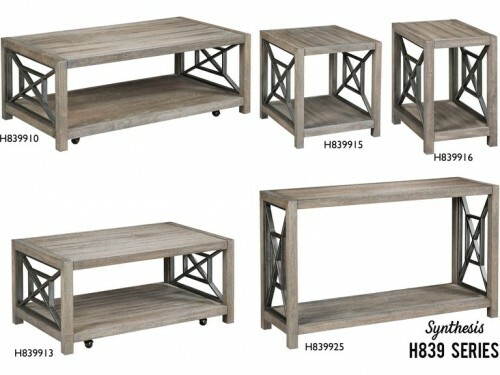 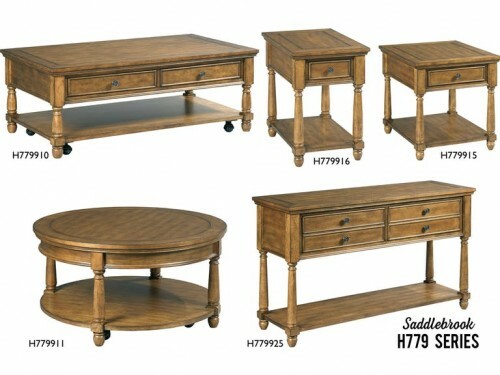 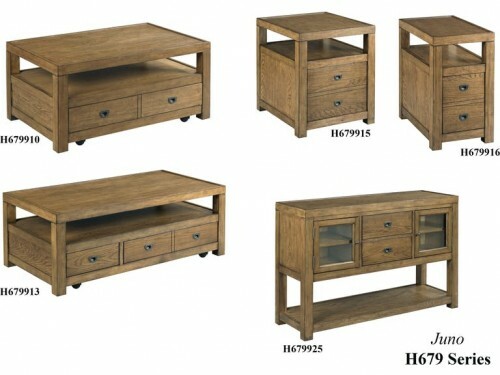 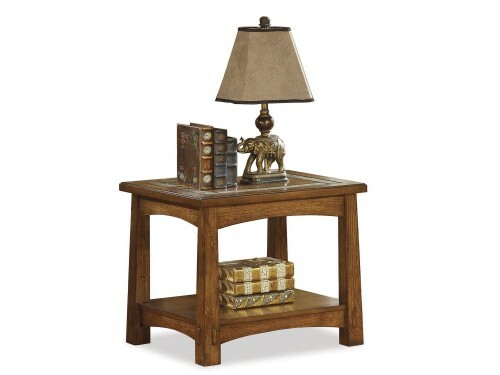 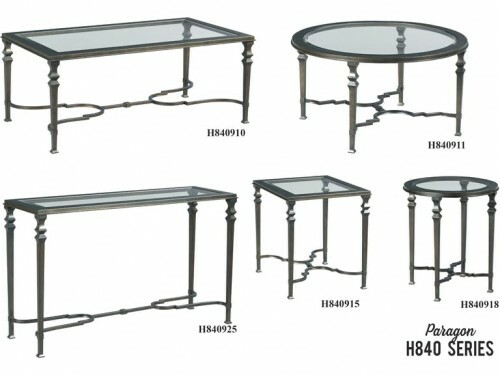 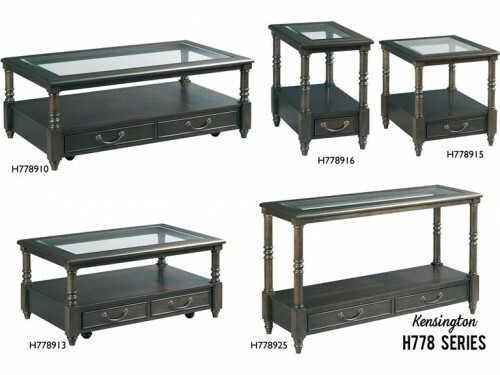 This coffee table is part of the Canterbury table collection by Riverside Furniture. 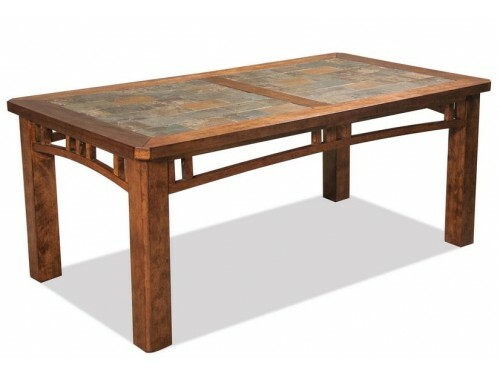 The table is constructed of poplar solids with cherry and birch veneers and is finished in a rich Colburn Cherry. 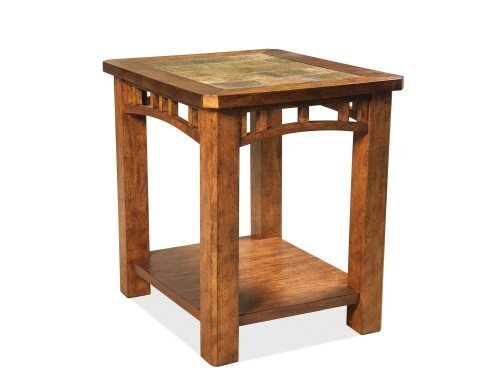 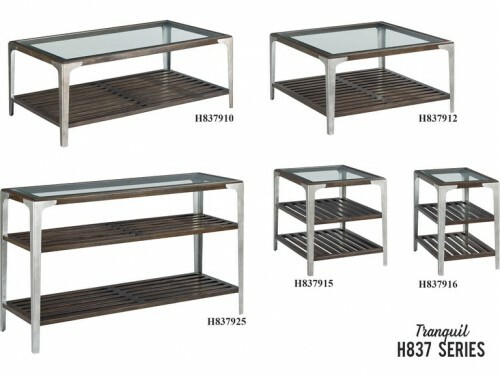 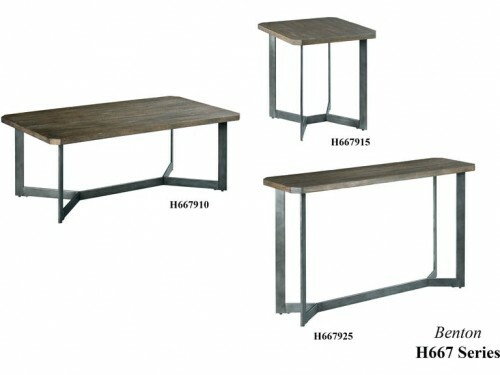 The table features two drawers with dovetail joinery and wood on wood glides and a fixed bottom shelf. 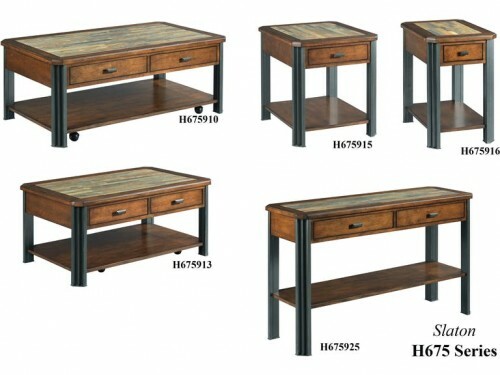 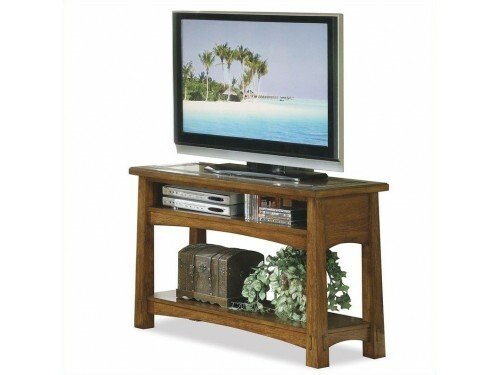 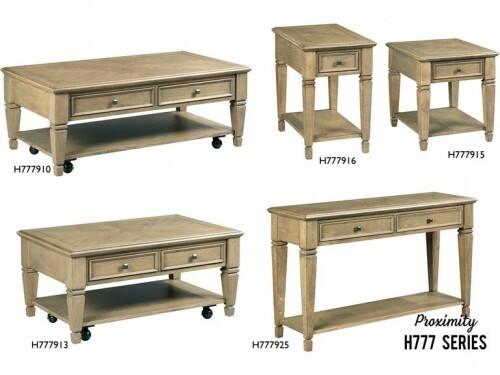 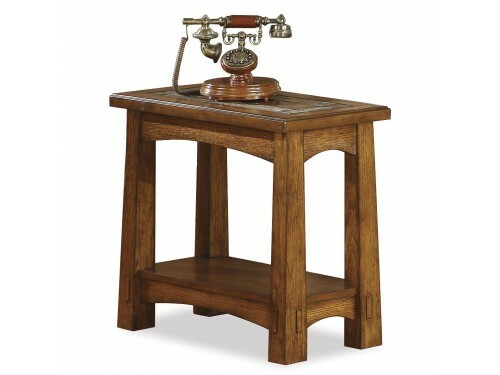 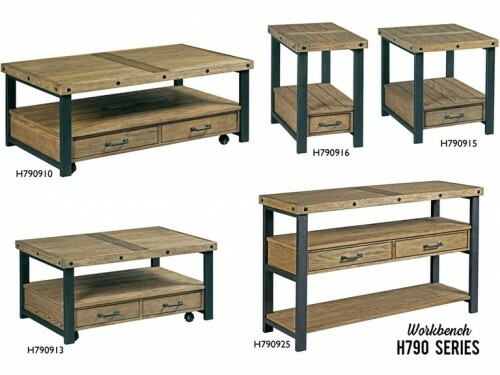 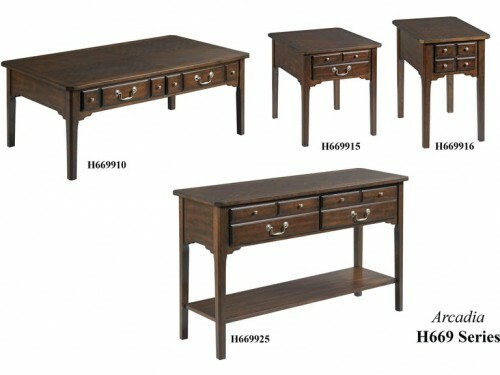 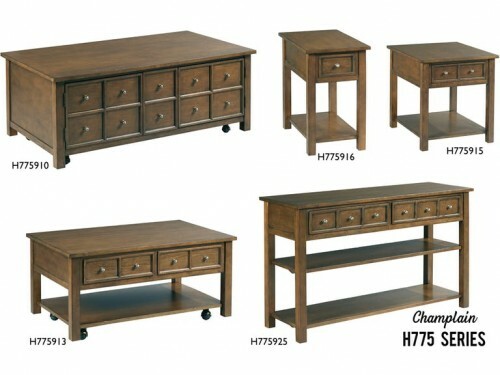 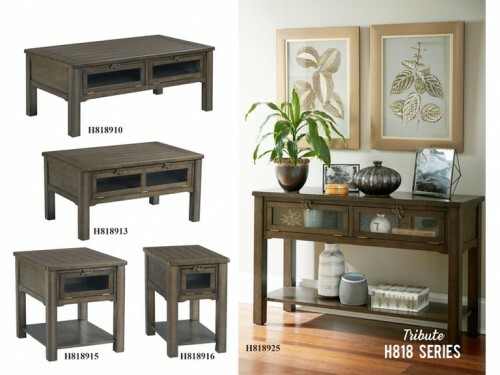 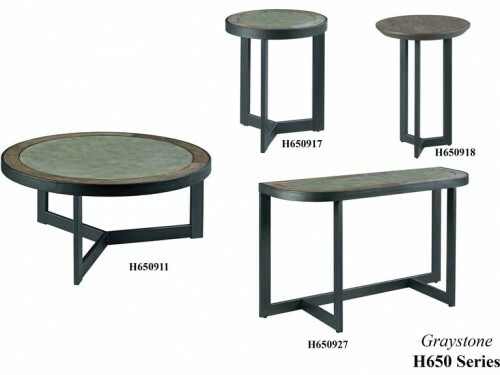 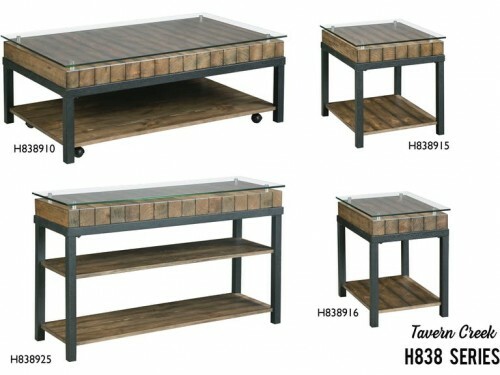 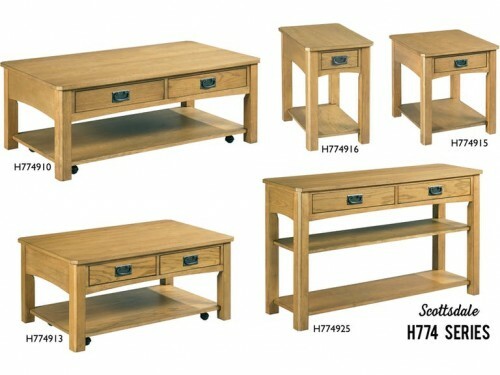 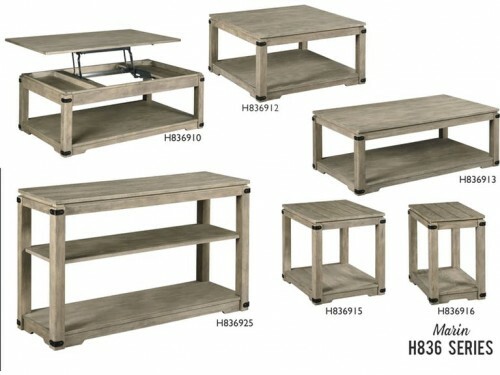 The table is also equipped with removable casters for convenient mobility. 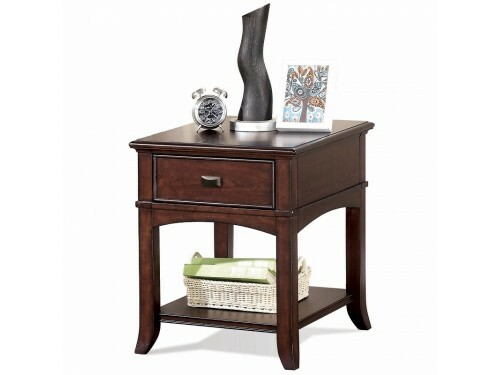 Dimensions: 36.00"W X 24.00"D X 18.00"H.